Ultimate Fighting Championship president Dana White is taking the UFC to Brazil for only the second time. The first visit was over ten years ago. This Saturday, August 27 the Ultimate Fighting Championship will showcase UFC 134 at the HSBC Arena in Rio De Janeiro, Brazil. There are some great matches on the fight card, with 14 fighters from Brazil showcasing their talent. In addition, the UFC Middleweight Championship will be on the line. Let’s get right down to the matchups. 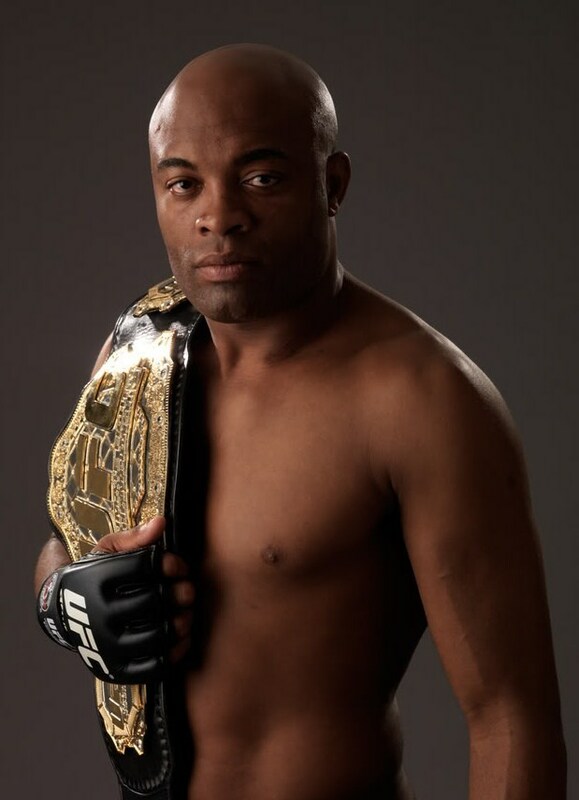 Anderson Silva is the current UFC Middleweight Champion, and pound for pound one of the best, if not the best, MMA fighters in the world. He is the longest reigning UFC champion, has the longest UFC win streak in history at 13, and has successfully defended his title a record 8 times. Has not lost a fight since 2006, the same year he won his title belt. Silva has never lost a fight in the Octagon. He is a black belt in Brazilian Jiu-Jitsu, Judo, and Taekwondo, as well as a yellow rope in Capoeira. He operates like a surgeon, with technical precision. He has a good jab, strikes, movement, and can switch from southpaw to orthodox while remaining very effective. He is also creative, and an excellent counter striker. Silva has devastating and precise kicks, knees, elbows and punches. Although his ground game is good, that may be his biggest weakness. Ironically, his last loss was against Okami due to a disqualification, and he felt it was a “cheap, cowardly way of winning”. Silva has 17 wins by KO/TKO, and has never been knocked out because he rarely gets hit with a solid blow. He is very effective and efficient with his strikes, and look for him to counter every Okami move. Silva will also try and keep it standing so he can use his kicks and knees as well. He has good striking and very good takedown defense. If this goes like his last 13 fights, look for Silva to get a knockout with a counter punch, kick or knee. He has hinted at retirement several times over last couple of years, but don’t count him out yet. Yushin Okami is a Japanese MMA fighter. He started fighting professionally in 2002 at age 21. He has improved his striking over the years, which will serve him well. Okami is on a 3 fight win streak, and has won 6 of his last 7. He is a black belt in Judo, has good freestyle wrestling and ground and pound skills. Over half of Okami’s fights go the distance (16 of 31). He has 12 wins by decision and 9 wins by KO/TKO. Okami is not as efficient with his striking, but more effective with his takedowns. He avoids strikes well, and also avoids takedowns very well. Okami is tough and durable, and has only been stopped once in 31 fights. He has exceptional balance and strength. He is one of best counter-style fighters in the world, which he hopes will frustrate Silva. Neither fighter is aggressive, but look for Okami to try and get a takedown to avoid Silva’s effectiveness on his feet. His favorite technique is the ground and pound, which may be needed to defeat Silva and become the next UFC Middleweight Champion. 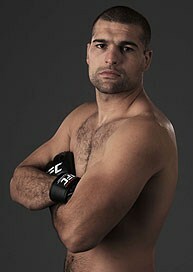 Mauricio Rua is a former UFC Light Heavyweight Champion. He is a black belt in Brazilian Jiu-Jitsu and Muay Thai. He is famous for his wild, aggressive style, and will utilize stomps and kicks on downed opponents. He has a very aggressive style, excellent Muay Thai and Jiu-Jitsu skills, and is very strong. In 2005, Rua was named Fighter of the Year by Sherdog.com. He is 3-3 in his last six UFC fights, but has won 7 of his last 10 overall. Sixteen of his 19 wins have been by KO/TKO. He is a standup striker with heavy hands. He is not too successful in takedown attempts. Defensively, he does not avoid as many strikes as he should due to his aggressiveness, and has been taken down easily by his opponents in previous fights. This is a rematch against Forest Griffin, in which Rua lost the first fight by rear naked choke in the third round. His best chance to win is to stay on his feet, pressure Griffin to keep him off-balance, and land the big blow. 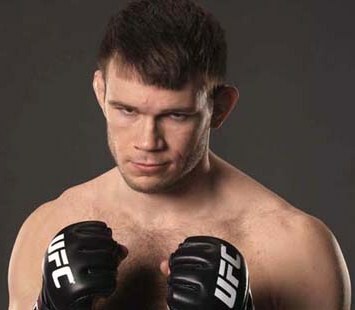 Forrest Griffin is one of the most popular fighters in the UFC. He is also a former UFC Light Heavyweight Champion. Griffin considered retiring from MMA in ’04 before he was selected to participate in the first episode of The Ultimate Fighter series. He ended up wining The Ultimate Fighter in one of the marquis fights that put the UFC on the map, and earned a six figure contract. Griffin is a black belt in Brazilian Jiu-Jitsu. He has won 5 of his last 7 fights. He has a tough chin, and is not afraid to stand toe-to-toe and mix it up in the middle of the Octagon. Griffin has won the majority of his fights (8) by decision, and 7 others by submission. He is a well-rounded fighter with good grappling skills, and a big heart that does not quit. He typically throws so many punches, his effectiveness is not as high as other fighters, and he does not have knock out power like Rua. He is fairly successful with his takedowns, but normally prefers standing. He is good at defending strikes, but could be better at avoiding takedowns. His aggressive style has gotten him knocked out in 4 of his 6 losses, which could be the case in this fight if he is not more cautious. Griffin should look to defend and counter more in this fight, and go for a takedown to avoid Rua’s heavy hands. Once on the ground, look for Griffin to win by submission, which is exactly how he won their first matchup. Either way, do not look for this fight to go to a decision. Minotauro Nogueira is known for having excellent stamina. He is also a great Jiu-Jitsu tactician and boxer. He is a black belt in Brazilian Jiu-Jitsu and Judo. Twenty of his 32 wins have been by submission, and 10 have been by decision. Nogueira has the distinction of being the first Pride Heavyweight Champion. He is the only fighter in history to hold the Pride and UFC Heavyweight titles. Nogueira can take more punishment than a normal fighter. He is tough, resilient, and just will not quit no matter what. He has been known for his comebacks after it looks like he is beaten, so don’t ever count him out. This will be only his third fight in over 2 1/2 years, as he has had to take time off to take care of injuries. Nogueira has only 2 KO/TKO’s in his long career, but they have come in his last 3 fights. He is not overly effective in his strikes, but likes to fight on his feet. He could also improve in his striking defense. He is not too successful with his takedown attempts, but doesn’t typically want to take the fight to the ground. He only avoids takedowns about half the time. His best bet in this fight may be to take down his opponent and look for the submission. He has some extra motivation, and is very excited to be fighting at home. Brendan Schaub played college and professional football. He does not have the MMA pedigree, nor the experience of Nogueira. Schaub is a good boxer, is well-rounded, and has good stamina. Schaub was on The Ultimate Fighter season 10, which is where he suffered his one and only loss. It was also his only knockout, and it was in the championship fight against Roy Nelson. Schaub is a purple belt in Brazilian Jiu-Jitsu. He has only been fighting in MMA professionally for a little over 3 years. Because of his knockout power and size, he has been moving up the ranks very quickly. Schaub could be more efficient with his strikes, but you can’t knock his effectiveness. Seven of his eight wins have been by KO/TKO, with 6 of those fights ending in the first round. He has been somewhat successful when he attempts takedowns, but mainly wants to stand and throw punches. He is good at avoiding strikes and very good at avoiding takedowns. Anticipate Schaub to look for a knockout blow, such as a superman punch. He just needs to be aware of Nogueira’s Jui-Jitsu, and be looking to defend multiple submission attempts throughout the fight. Whoever is more effective at their strength, Nogueira’s submissions or Schaub’s strikes, will end up winning the fight. This will be the biggest test of Schaub’s young career. ~ by Troy Erickson Realtor on August 27, 2011.